GAOMON > Articles > Have You Ever Did a Portrait of Your Mother? The second Sunday of May is the Mother’s Day in many countries. People celebrated it through different ways, like sending cards, gifting a bunch of carnations, inviting their mothers to have a dinner in hotels or restaurants, even some presenting their mother with red envelopes including some amount of money. 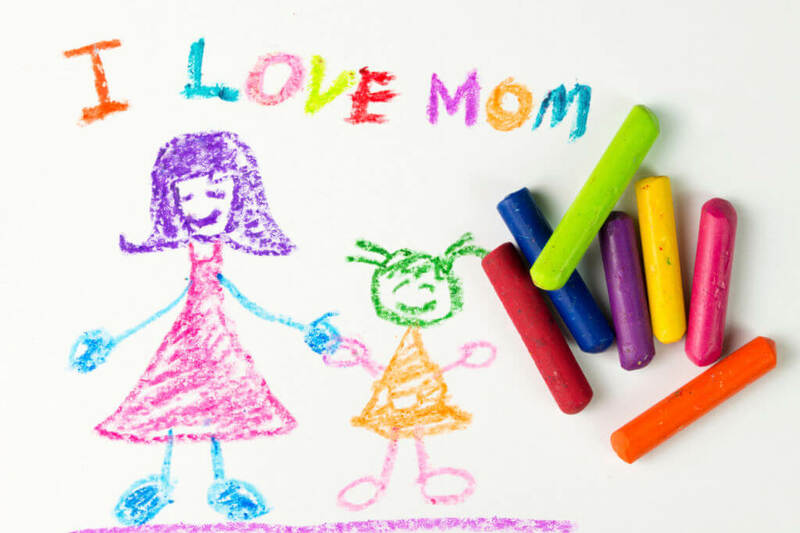 The Mother’s day is celebrated by different countries on different days in the world. Let’s just forget some celebrate it for revering the Virgin Mary or other reasons. Let’s just forget the day which is criticized by becoming more commercial under the propaganda of profit-seeking companies. Let’s just forget the day which is celebrated on different days and in different countries. As an average person, the meaning of the day for honoring our mother is the real part that we care. The 12th day of May is the tenth anniversary of an 8 magnitude earthquake, the Wenchuan earthquake. The disaster occurred in 2008 with over 69,000 people lost their lives. Memorial events held across China. They dated back the heart-warming stories happened during the devastating. “ If you can survive, you must remember that I love you.” This is a text message edited by a mother who was dying at her last minute. When rescuers found her under the crumbles, she was already dead. Her baby, however, was safe and sleeping soundly under her body. Mother is the most common people in the world, also the most greatness one! Even given her more than one hundred times to choose, she will sacrifice herself to save her kids. That is the mother! When we were kids, our mother was the world of safe. We wouldn’t let her go out of our eyesight. If so, we would cry out loud to call her. For our need, our mother stayed home to take care of us. But we might fail to notice the day when we became to keep a distance from our mother. We began to conflict with her, quarrel furiously with her. We don’t care whether she is sad or not. We no longer share our secrets with her. There are many reasons but we all should remember that mother is the only one who cares about us forever. Only when we become mother or father, then we can aware of what our mother has done for us when we were little kids. But to show our love is no need to wait for us to be a guardian of our kids. There are many ways to show our love to our mother. You might have drawn a number of pictures about beautiful scenes, buildings, strangers, cats, dogs, flowers, etc. Have you, however, do a portrait of your mother when she is cooking, cleaning, reading, or just sipping tea? 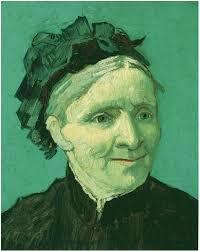 You may be familiar with Vincent Van Gogh’s painting, Portrait of the Artist’s Mother. But do you know how it is produced? When Van Gogh grew up, he developed his own view of the world. He found it was quite different from his parents. He wrote to his brother Theo and said, “I can’t settle into Father’s and Mother’s system, it is too stifling and would suffocate me.” But this won’t stop him from loving his mother. In a letter to his brother Theo, Van Gogh wrote, “I am doing a portrait of Mother for myself. I cannot stand the colorless photograph, and I am trying to do one in a harmony of color, as I see her in my memory.” Even Van Gogh also faced the difficulty in dealing relationship with his mother. It’s not strange for us to have such problem. But just like our mother had done to protect, forgive and love us when we were obnoxious kids. We should forgive what she has done that even being out of her love but also hurting us. While compared with those who lost their mother, our mother is still alive. We are happy. But, have you expressed your love to her? Have you noticed the wrinkles crept over her face? Have you ever realized her gray hair? Do not wait to say love her until losing her. Go to brace her and protect her. To show your love, how about to draw a portrait of her normal life and send it as a gift to her? Every day is worth celebrating.